Chocolate wars: can you TM a 4-fingered snack? Nestlé sold £40m worth of KitKats a year in the UK between 2008 and 2010. Having had its trademark application for the four-finger shape rejected by the High Court, after rival confectioner Cadbury opposed it, Nestle went to the European Court of Justice (ECJ). It wasn't seeking to trademark the two-finger version, but could the four-fingered type gain this status? Nestle argued that, over time, its physical form had acquired a distinctive character associated with the company, and should become a trademark. 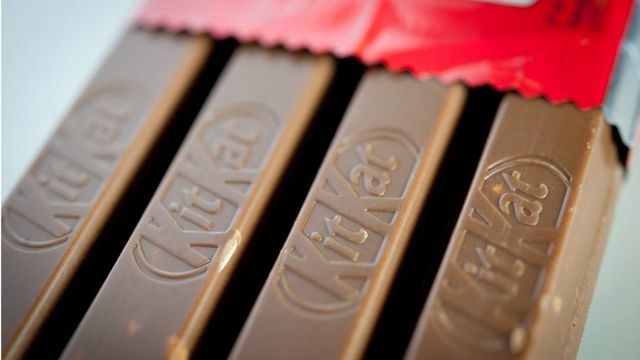 It cited in a survey in which 90% of people shown a picture of the bar, without any names or symbols embossed on it, mentioned KitKat in their comments. The conclusion of the ECJ , however, was that that the KitKat’s shape was not distinctive enough for consumers to associate it with the chocolate covered wafer. The European Court of Justice said that the company had to demonstrate the public relied on the shape alone to identify the snack. The judges concluded this was difficult to prove if goods also showed a brand name such as KitKat.